Totally Silent, Frictionless 360°Free Rotation with Sealed Ball Bearings,Very Compact and Symmetrical Swivel. Aluminum Alloy, strong and durable with about 30KN tension. Due to stainless steel ball bearing, it has smooth and frictionless rotation without twisting chains or ropes. Safety rope swivel connector, safe and reliable to use. 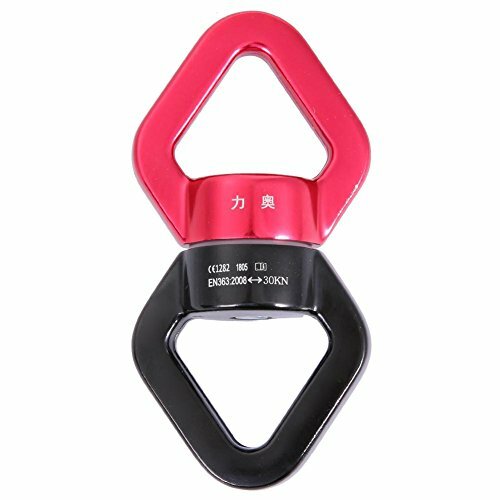 Suitable for rock climbing, aerial yoga, aerial performance, etc..
Main use: rock climbing, aerial yoga, aerial performance, etc. Product size: 110 x 53 x 25mm/4.33 x 2.09 x 0.98"
If you have any questions about this product by SIKIWIND, contact us by completing and submitting the form below. If you are looking for a specif part number, please include it with your message. CMI Dual Service Line Pulley 2"